I’m a big fan of subscription boxes and subscribe to several different ones. The hard part is finding ones that will ship to Canada. I’ve done a bit of research and rounded up the ultimate list of subscription boxes for Canadians. Bookmark or pin this list to save for later. I’ll continue to add to it as I discover more! This is a great list of subscription boxes for canadians. Thanks for the list, I am thinking of subscription boxes for a couple people on my Christmas List and this list will help! This is quite the list of monthly boxes, I didn’t even think there was this many to choose from!! Wow! I did not know there are so many, it’s sonice to have them all listed, thanks for all your hard work! I wish I had the extra money to get a subscription box. I think it would be fun. 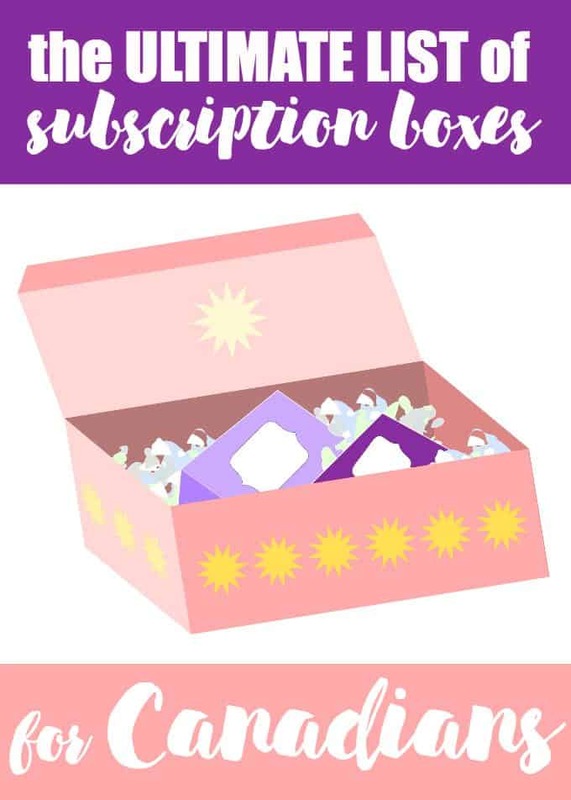 WOW I didnt realize there was so many options for monthly subscription boxes! I would love to try a few, it would be almost like Xmas once a month! Hi Stacey – I just went through with a gift subscription to Homegrown Collective and now am super worried that it isn’t a legit company. I’ve done a little more research on reviews and people are saying that it is a scam. Have you used them? Can you comment on this at all? Oh no really? They are part of a network I’m in so I assumed they’d be ok? ?